New Jersey won a landmark ruling from the Supreme Court Monday that could lead many states to legalize betting on college and professional sports. 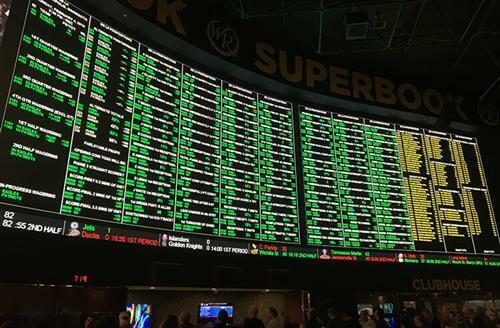 The justices ruled 7-2 that a 25-year-old federal law that has effectively prohibited sports betting outside Nevada by forcing states to keep prohibitions on the books is unconstitutional. The ruling could set the stage for other states to expand legalized gambling as a source of government revenue. Justice Samuel Alito, a New Jersey native, wrote the court's opinion in the case. Justices Ruth Bader Ginsburg and Sonia Sotomayor dissented. It was a victory for the state's recently departed governor, Chris Christie, who had challenged the Professional and Amateur Sports Protection Act, passed by Congress in 1992 to preserve the integrity of the nation's most popular sports. He and other proponents sought the ruling in order to help the state's ailing casinos and racetracks. It was a defeat for the National Collegiate Athletic Association and the four major professional sports leagues -- baseball, football, basketball and hockey -- that had successfully blocked New Jersey in lower courts. "Congress can regulate sports gambling directly, but if it elects not to do so, each state is free to act on its own," Alito said. "Our job is to interpret the law Congress has enacted and decide whether it is consistent with the Constitution. PASPA is not." The court's action could jump-start action in Congress to pass legislation calling for federal regulation of sports betting -- something the sports leagues would prefer over separate rules from state to state. Alito and six colleagues agreed, though Justice Stephen Breyer said the whole federal law should not have been declared unconstitutional. Ginsburg said the law should stand. "The court wields an ax to cut down (the law) instead of using a scalpel to trim the statute," she said. "It does so apparently in the mistaken assumption that private sports-gambling schemes would become lawful in the wake of its decision." Christie, who left office in January, signed the state's first law legalizing sports betting in 2012 after voters in 2011 overwhelmingly approved an amendment to the state Constitution to allow it.